Hagerty use the example of a Mk2 Ford Capri 2.0 GT worth £8000 where the compulsory excess is £100. In this case, the owner would receive a pay out of £7900 on an agreed value policy. With salvage retention, that figure is £5500 as the insurer retains the scrap value of the car (£2400) as well as taking the £100 excess. This is just one example, though. Some insurers offer policies where you receive the agreed value of the car, plus the salvage. So make sure you read the fine print and find the cover that’s right for you. If it’s part of your cover, you can retain salvage on your classic – but sometimes this depends on how severe the damage is. If it’s classified as an ‘end of life’ vehicle, then you won’t be able to retain the salvage. What do Category C and Category D mean when it comes to a classic car? Category C vehicles must undergo a Vehicle Identity Check (VIC) before a V5C registration document (or logbook) is re-issued by the DVLA. The check is carried out by the Vehicle Operator and Services Agency (VOSA). Should I sell or salvage my cat D write off? My Mazda MX5 was scratched down the driver’s side in a car park by another car. I reported it to my insurer and following the assessor’s inspection it has been written off as a Category D. The value has been agreed and the majority of the money will be coming from the third parties insurer. 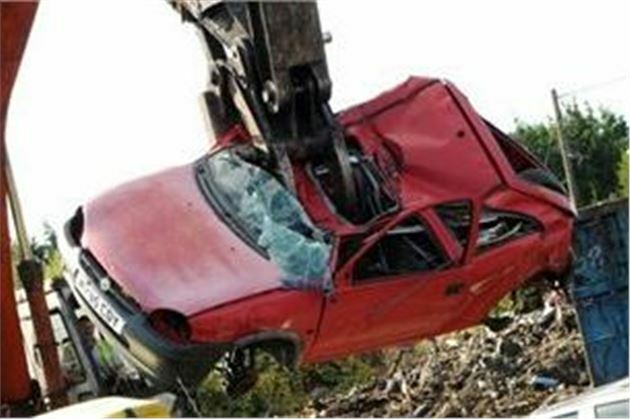 My insurer has said I can keep the car or instruct their salvage and receive the rest of the value e.g. £300. I don't wish to keep the car, would I be better off to sell it privately as it is or instruct the salvage company? I think that any MX5, even a Cat D with a scratch down the side, must be worth more than £300. Probably worth advertising. Try a photo ad in a newsagent's window first.